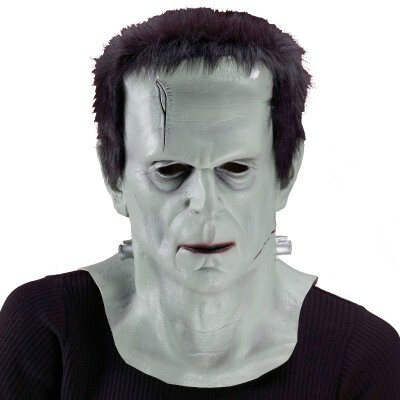 This deluxe frankie mask is a frankenstein costume idea for adults. 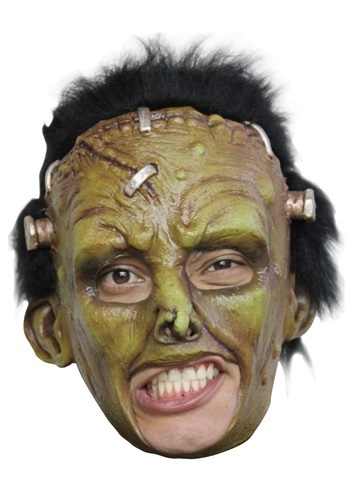 Become the frankenstein with this realistic green monster mask. 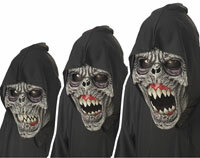 Categories: Scary Deluxe Costumes, Scary Masks, Scary Monster Costumes. 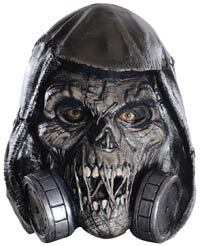 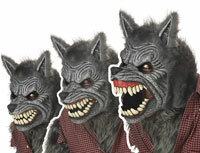 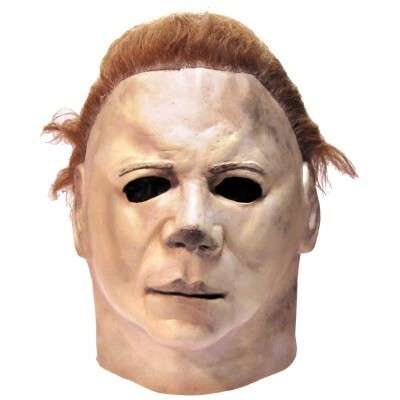 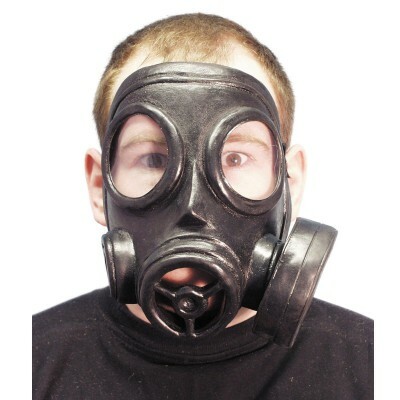 Start heading for the hills when you see someone wearing this Deluxe Frankie Mask. 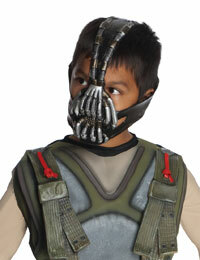 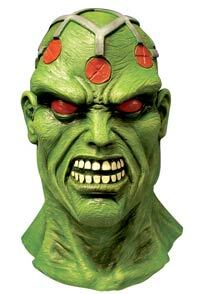 The mask is a greenish brown color with silver stitches and silver bolts on each side of his head. 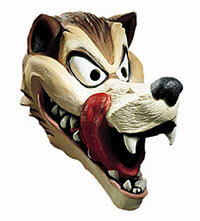 There are large openings for the eyes and the mouth and holes in the nose. 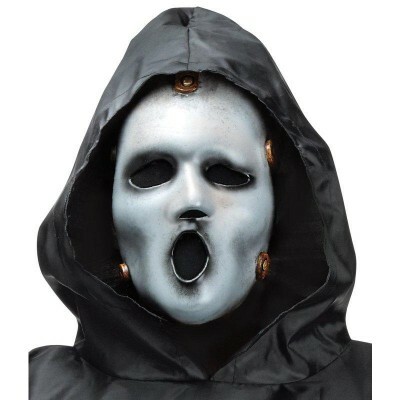 There is a thick head of black hair on top of the mask. 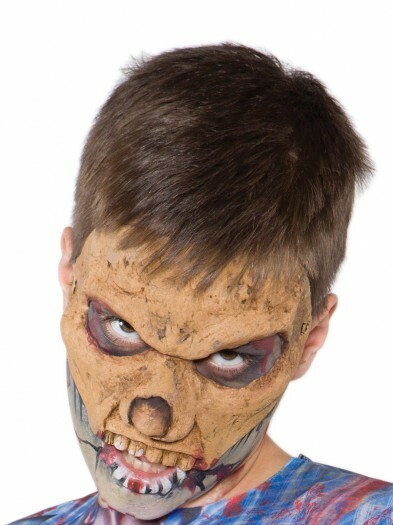 This mask is great for dancing the monster mash!